My favourite part of winter in Europe is the Christmas markets. And my favourite part of the Christmas markets is the food and drink. 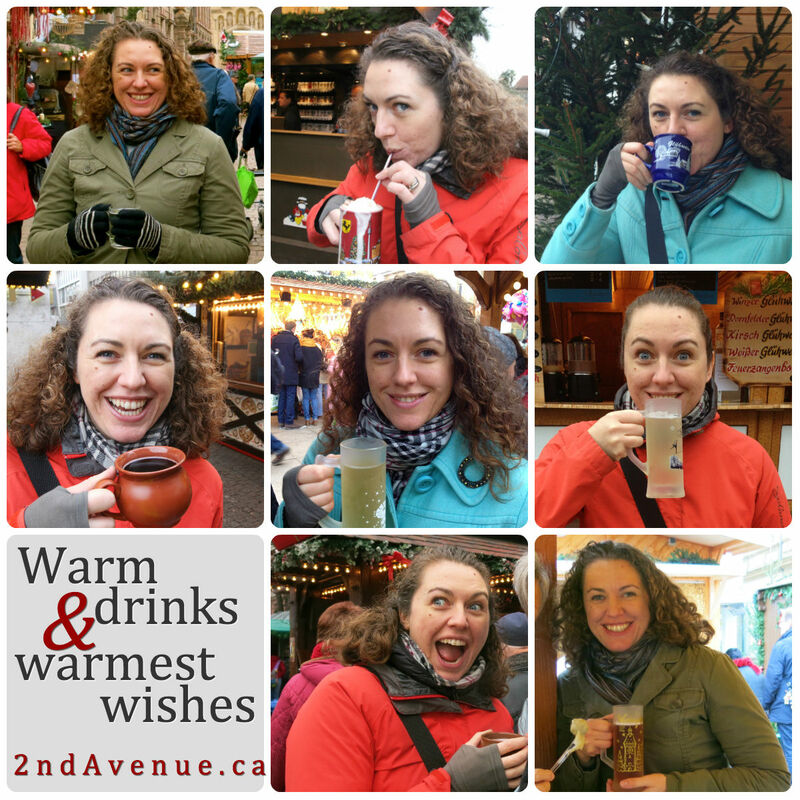 Okay – really, it’s the warm beverages! From Eierpunsch (warm, alcoholic eggnog) and Glühwein (mulled wine) to Feuerzangenbowle (a rum-based punch with flaming sugar cubes) and Lumumba (hot chocolate with rum, cognac, brandy, or amaretto) at German markets to vin chaud (hot spiced wine) and bière de Noël (Christmas beer) at French and Belgian markets there’s a drink for every taste. Not only are the drinks delicious, the mugs make excellent hand warmers and they’re a toasty way to warm the spirit. I hope your holidays are filled with hot beverages, fun with friends & family, excellent food, lots of time to relax, and warm hearts! Homemade Glühwein!!! Awesome! What kind of spices do you use in yours?